Is your construction dumpster rental provider making you miserable? Could it be time for a change in your rental providers? Tis the season to be smarter – fa la la la! That means everything from business to pleasure is up for review. This year, make a resolution you can stick to, and improve your decision-making skills when it comes to contracting with rental providers. How Much Should You Be Spending? Your dumpster rental provider is an expense that should be up for review because of the variables involved and the impact this expense can have on your overall job efficiency. For one thing, dumpster rental has to correlate with each individual contacting job and the needs of every job site are going to be different. What’s appropriate for one client might not necessarily work out at the next job site. Your budget for rentals often fluctuates and you will be doing yourself and your client a huge favor by keeping that in mind. Building realistic costs into your estimate will be appreciated. Are You Married to Your Dumpster Rental Source? Most likely, no! It’s not a betrayal if you want to get a price quote from other companies and shop around. The bottom line is you don’t need a reason to explore other options and you shouldn’t keep doing business with the same rental company if you think there are options available that would better suit your needs. Contractors need to work with partners who can adjust their prices based on individual factors. Comparing prices and other intangibles is the natural instinct when the budget is up for review. Are You Benefitting from Competition? If you don’t investigate the available rental options, you’ll never know if you are getting stuck with a mediocre deal. Small business owners and independent contractors work hard for their customers to provide services at fair prices. In order to accomplish that, you have to adhere to strict budgets and be mindful of spending. If you can shave off expenses with a better rental deal, you can forward those savings to your business and your clients. Contractors need dumpster rentals they can rely on. That means getting the best deal available so you don’t spend money needlessly, and dealing with a professional service that won’t tack on additional fees and costs that you can’t afford. Start this year off with a serious overview of your budgeting and see if there are available alternatives that can set your business on the path toward better spending. If you have had enough of working with less than professional service providers, it may be time to consider the expert team at Rolloff Dumpster Solutions. We value each and every customer and will work with you to find the solutions that are right for your dumpster needs and budget. 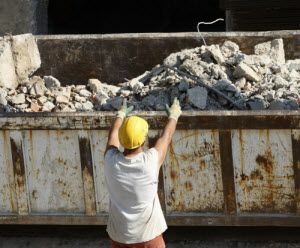 Click here to get a free quote on the best professional services to improve your construction dumpster rental today.